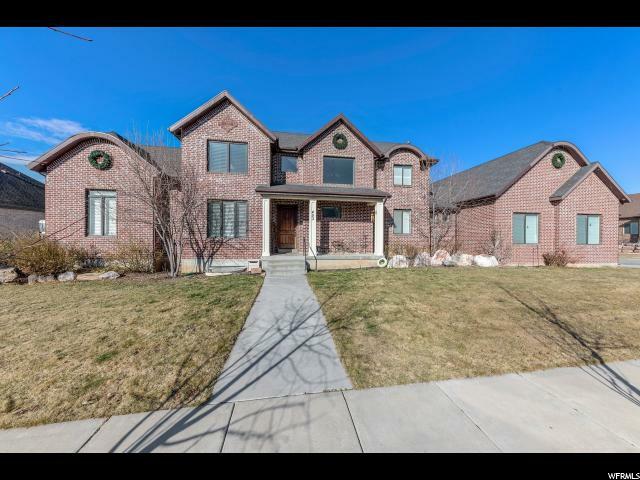 All Layton homes currently listed for sale in Layton as of 04/23/2019 are shown below. You can change the search criteria at any time by pressing the 'Change Search' button below. 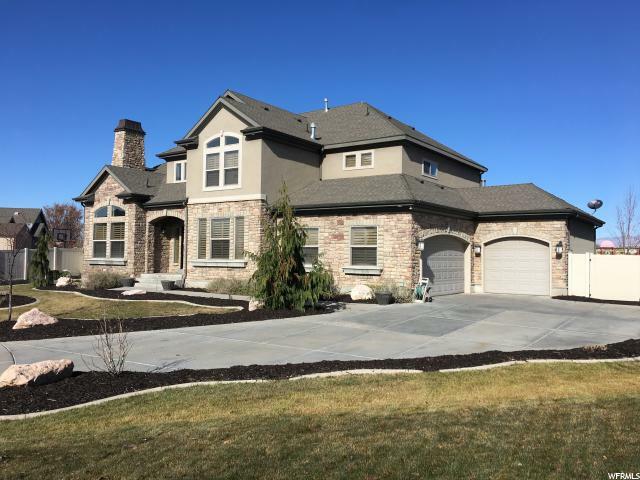 If you have any questions or you would like more information about any Layton homes for sale or other Layton real estate, please contact us and one of our knowledgeable Layton REALTORS® would be pleased to assist you. "High on East Layton's east bench (east of Hwy 89) sits a one of a kind custom built East Layton Estate on over 4 secluded acres. 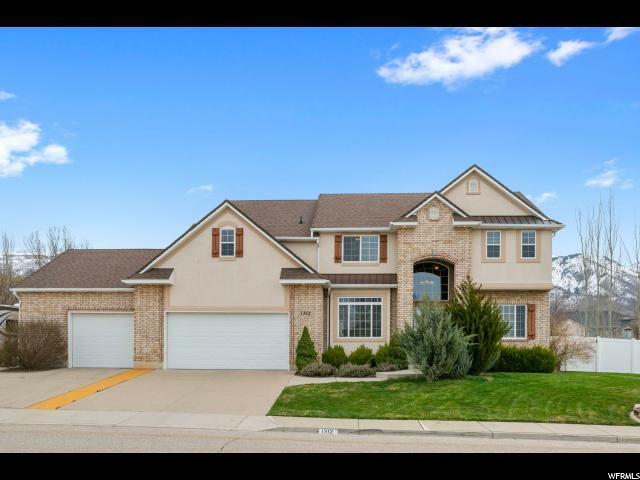 Located in a private cul-de-sac this home offers THE best view in Davis county. Rustic open floor plan with gorgeous in-ground infinity-like pool. Huge Theater room with 12 Foot screen. Intercom system and music speakers throughout the home. The finest craftmanship throughout, not lacking anything in design. Chef and Entertainer's dream, gourmet kitchen with double oven and high-end appliances. Enormous great room with custom chandelier and built in cherry cabinets surround the towering 20 foot stone fireplace. Huge windows give you unequaled views of the South Weber valley, the mountains and the Salt Lake. Exquisite detail in crown molding, trim, and window and door casings. Enormous Grand Master Suite, Master Bath and walk in closet, with sitting room and private deck. Towering 20 foot ceilings on main level, with 10 foot on 2nd floor and basement. Walkout basement boasts large windows making the basement seem like the first floor, NOT a basement. Plenty of rooms for Exercise room, video game room, home offices, dining room, enormous butler's pantry. Home offers best lot in the neighborhood. 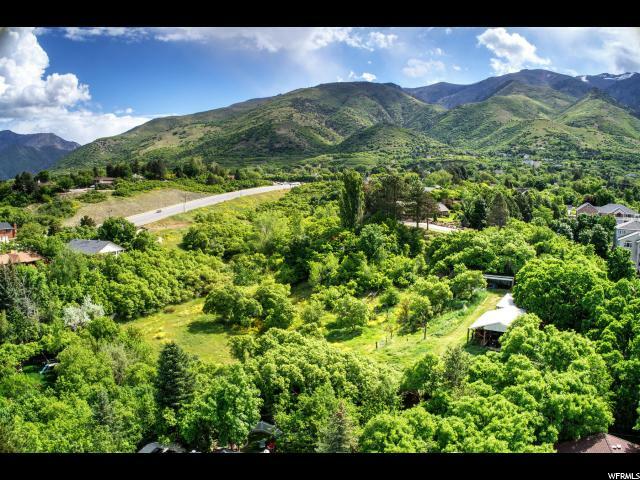 15-20 minutes to Snowbasin, with walking/hiking/biking trails nearby (Bonneville Shoreline trail behind property). Buyer to verify all information." "If you're looking for a Comfortable Home to Entertain Family and Friends, Look No Further!! As a Former Parade of Homes Winner, this Beautiful Home offers Amenities Galore! * Main Floor Master includes a Gas Fireplace, Screened Patio, and Enormous Walk-In Closet with Built-In Pull Down Rods, Shoe Shelves, and Drawers * Outdoor Swimming Pool is Salt Water and includes a Waterfall, Water Slide, Swim Jet, and In Ground Hot Tub * A Wooded Lot surrounds the Fenced Pool Area for added Privacy * The Home Theater Room includes 10 Theater Reclining Chairs as Platform Seating (Speakers Included) * Also, a Sport Court/Basketball Court and Weight Room with Added Sound Proofing are available for daily use! * 6 car garage and RV parking * There are so many Built-Ins in this Home you won't believe it * Tons of Closets and Storage Space! * 15 to 45 min to major Ski Resorts!" "View the valley from your own 3 acres of private paradise and enjoy the serene view of beautiful trees and spacious fields that canvas your property. This property is horse ready with a preexisting barn, full fence line and ample hay storage. Enjoy your mornings on the deck with fresh aromas from your many fruit trees filling the air, or host guests from the comfort of your enlarged kitchen and living room. A short drive will take you to world famous ski resorts, lakes and endless mountain fun; while the heart of down town Salt Lake City is less than 30 minutes away. Recent updates have included new hardwood floors, a full kitchen with granite countertops, fresh paint and an enlarged master suite. Can be subdivided into 2 parcels." "A fantastic home seated on a large secluded lot with a private drive. Possible to subdivide and build. Easy access to Antelope Drive, Highway 89 and Weber Canyon. This house has a large main level master suite with an attached library. Updated cabinetry throughout the main, new carpet throughtout, updated electrical throughout with much of the lighting converted to LED. Enjoy entertaining in the completely remodeled, state-of-the-art kitchen featuring 1 main sink, 2 prep sinks, 3 electric Thermador ovens, Thermador natural gas range with 2 large water heaters, commercial hood as well as a commercial fridge and dishwasher. The backyard features a natural gas powered saltwater hot tub with a swimming pool heater. The entire patio, stairs, and area in front of the garage has radiant heating to help keep the snow away. The home has an attached 2 car garage, a detached 4 car garage, as well as ample parking space on the property. Mature landscaping that provides ample shade and privacy." "PRICE REDUCED! 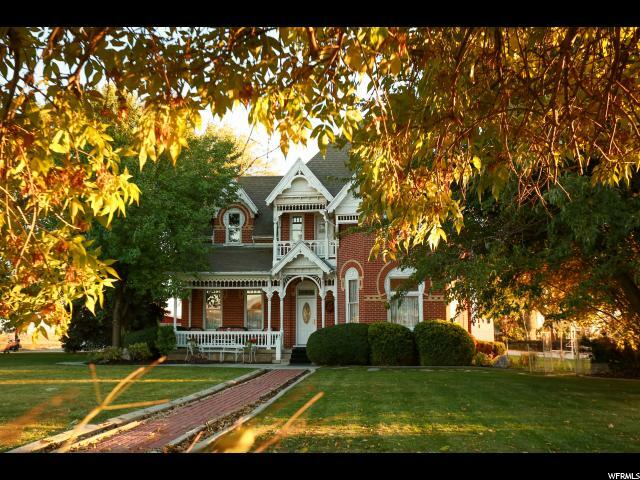 The George W. Layton estate is a landmark destination known throughout the top of Utah. 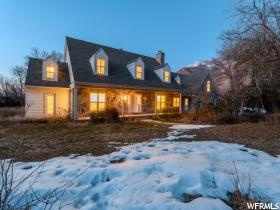 This beautiful Victorian home sits on 1.92 acres and is listed on the National Historic Registry. The elegant home features original woodwork moldings, doors, and stained-glass windows, 14-foot ceilings, 3 carved fireplaces, and a turned staircase. The beautifully manicured yard is perfect for entertaining as well as a children's paradise with plenty of room to add a pool and tennis court. There is even a secret room in the upper barn. The estate could easily be converted to a private school, preschool, law or architectural offices, retirement center, contractor's home with equipment parking, leased office space, bed and breakfast, or Ab&b. Currently it is known as one of the premier wedding reception centers in Utah. If you love doing weddings, this could all be yours! This property sits on what will be the corner of Gentile and the street coming off of the West Davis Corridor (2700 W)! Here is your chance to own a piece of history! " "WOW! MUST SEE home with spectacular views of the valley and wooded ravine and stream. Spacious rooms plus all the fun touches like an indoor racquetball court with hoop, exercise room, game room, attached apartment with separate entrance, pre-wired theater room, walkout basement, 3 balconies, covered porch, three gigantic cold storage rooms, double-deep garage with parking for 5 cars, and RV pad. 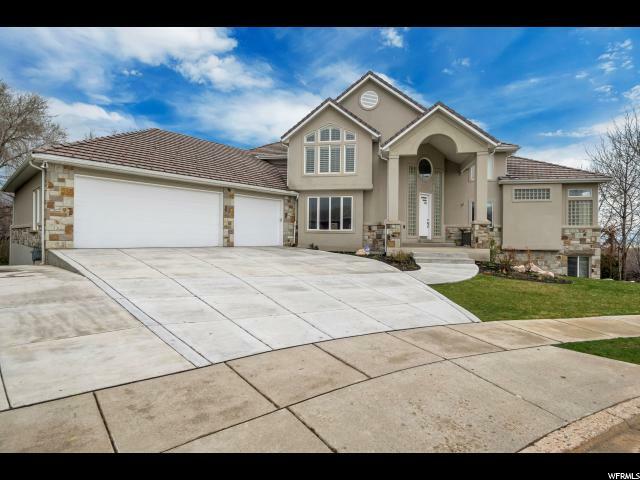 Home has been updated with new paint, new carpet, kitchen and bathroom remodels, Utopia Fiber, 6-unit Google Wi-Fi mesh, intercom, total-home audio system, LED lighting, smart devices for thermostat, sprinklers, garage door, and security video. Space and natural light everywhere. Entry, living room, and main floor family room are open two stories. Formal dining has reproduction Monet mural. The two basements have ten-foot ceilings. Potential second master on second floor. Huge laundry has cubbies and storage. Main floor den has built-in cabinetry. Enormous main floor master has separate sitting area, sky light, jetted tub, and custom cabinetry. This won't last long at this price. Square footage figures are provided as a courtesy estimate only . Buyer to verify all!" "Absolutely gorgeous home at the very top of the prestigious Tanglewood community! All major repairs/systems have been replaced within the past 5 years: Roof, 3 A/C units, Boiler, Water Tank, Water Softener. Builder's own! 10-zone radiant heating throughout entire house and both garages . Large master suite on main level includes fireplace and a private deck. Butler's pantry and updated kitchen with Subzero and Wolf appliances. Guest suite includes private bedroom and separate kitchen. Square footage figures are provided as a courtesy estimate only. Buyer is advised to obtain an independent measurement." 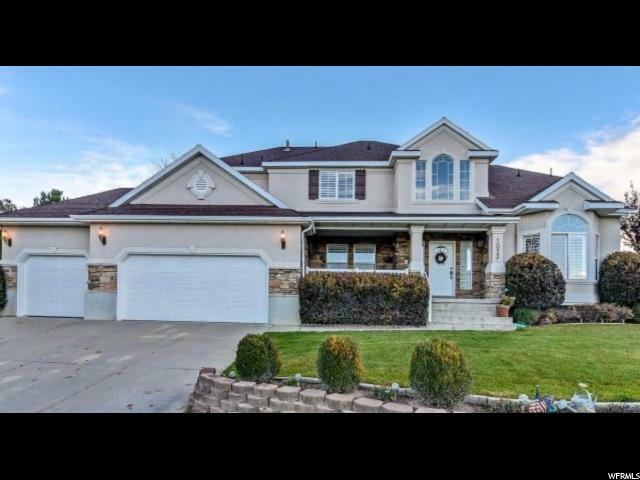 "Awesome East Layton culdesac location with private 2 acre yard! No backyard neighbors! Custom tile roof shingles! Awesome heated 9 car garage with a built in workshop! Huge storage rooms! Home has excellent bones and tons of potential. Large bedrooms with ceiling articulation and character. Huge laundry room upstairs. Indoor sport court! Fantastic home for entertaining! Basement kitchen, 4 fireplaces! Large storage above garage. Generator system, large storage room under the garage. Home Warranty Included." "A stunning, new modern architectural masterpiece ready to move your family into!!! 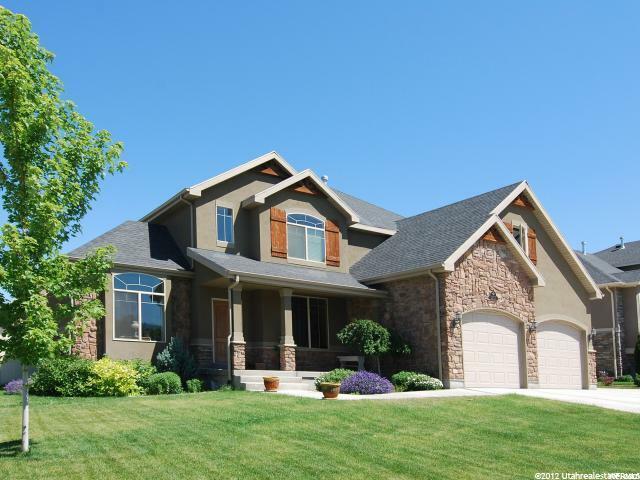 This custom home provides spectacular mountain, valley views and sunsets over the Salt Lake Valley. 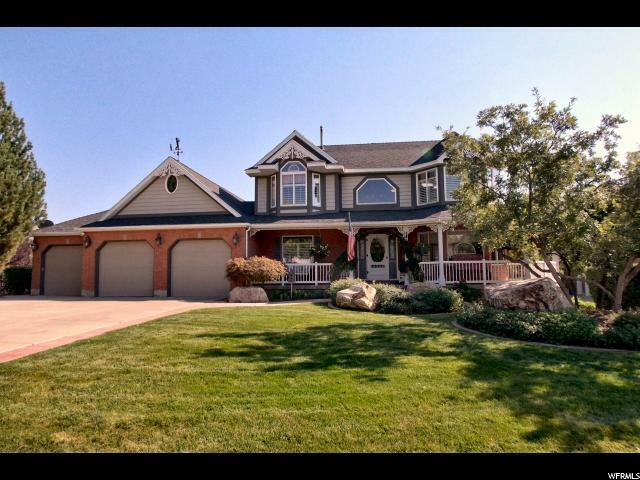 Sitting on .38 acres of prime Layton ground, only minutes to the freeway. Modern design with clean simple lines, open & spacious floor plan, nice windows in every room bringing the outside in along with lots of natural sunlight. The discriminating buyer will appreciate its well planned designed spaces and sophistication. Perfect home and layout for entertaining with gorgeous and inviting entry, leading into this fabulous home. Open living and dining rooms have forever views looking at mountains to the east and the entire valley to the southwest. sleek lines modern wrapped casing, vaulted ceilings, gas fireplace, den/art-flex room. White modern cabinetry, high end, stainless steel appliances, free standing tub, finished basement, walk-out entrance. Grocery shopping, schools of all ages and churches nearby. " "WHAT!!! 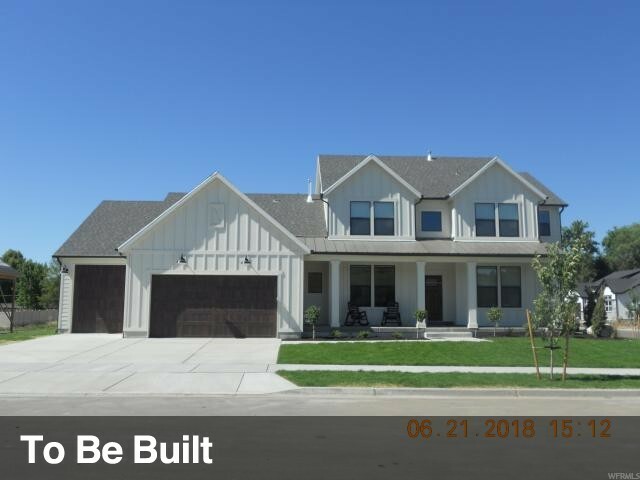 Best price per sq ft in East Layton! 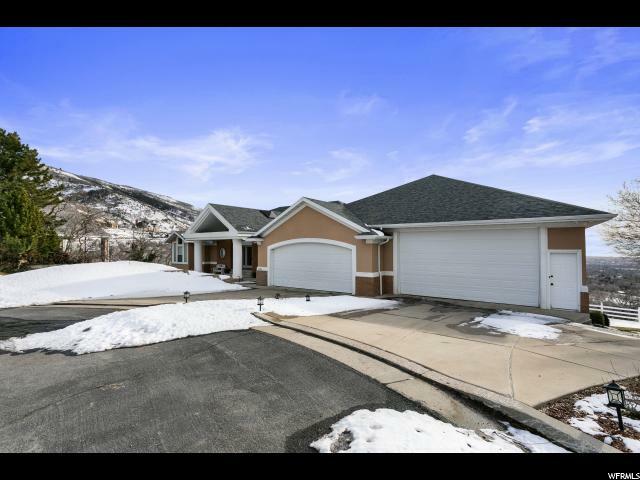 This Custom Built Home is in cased in natural beauty and features a peaceful stream in the backyard and is close to Adams Canyon Trail and many other awesome trails. The VIEWS of the Valley and the Mountains are Amazing and the Open Layout is perfect for all of your Entertainment needs. The Kitchen has high end appliances, large pantry, wine/beverage fridge, granite, the living room has mile high ceilings, the master suite overlooks the valley. If you need room for Mom or Dad or guests the basement offers a master suite, kitchenette and an accessible walk out. There is a 4 car garage, RV parking, and a large storage area under the garage. 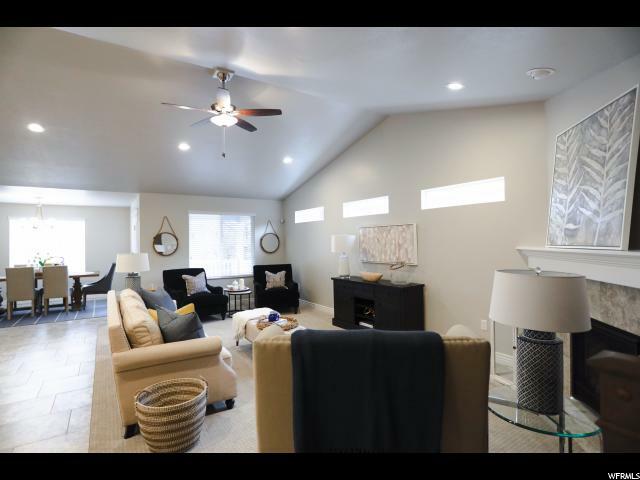 This home will knock your socks off and is just minutes to HAFB, I-15, Legacy, Trax/Bus, Shopping and Entertainment. This Home is a Must See to appreciate!" "Location! Location! Location! This Beautifully renovated brick home is nestled on just over 4 acres in a great Layton location! Boasting 3 beds and 1.74 baths, oak hardwood floors, knotty alder cupboards, large private yard with a variety of mature trees - some fruit bearing, a 40 x 60 quonset with concrete floors, and over 4 Acres for you to spread your wings. Located within a 5 mile radius are several amenities like FrontRunner, a walking path, parks, several schools, multiple horse facilities including veterinary clinics, fire & police departments, hospitals & medical clinics, and more restaurants than you know what to do with to name a few. Sellers are offering a $500 Home Warranty with this property. Make your appointment today! " 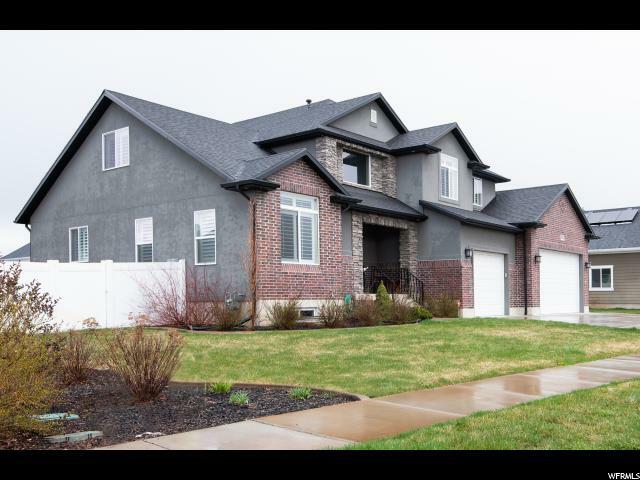 "Beautiful custom 2-Story home located on private cul-de-sac in East Layton. Enter into a roomy foyer to an airy living room and expansive formal dining room all freshly painted. This incredible lot features fantastic 180 degree views from the back yard and deck. Spacious deck off the kitchen for you to enjoy the most breathtaking sunsets. Below the deck is a patio with two walk out exterior doors to the basement. Lovely landscaping with waterfall feature/pond and children's play house. The home is completely finished and ready for occupancy! So much thought has gone into this home! An Immense gourmet kitchen with high profile cabinets and granite countertops, tile backsplash, pantry, cookbook cabinets, cook island, open great room, gas fireplace with custom mantel and built in book/ display shelves and TV cabinetry along the north wall. Generous basement family room with theater equipment and screen and 3/4 bath and bedroom. Fun slide from main floor to basement family room! Expansive master suite with en suite grand master bath and huge walk in closet and two sided gas fireplace. Four very spacious bedrooms and three full baths on the upper level. Individual craft room with a sink and two built in desks with cabinets for all of your hobby materials. A wonderful separate office with corner windows for an awesome view! If you work from home this is such a great feature! Truly, you will not find a finer home on the market! Three car garage and RV parking. Beautiful neighborhood! " "East Layton estate with stunning views! Spacious, luxurious,and located in the desirable Red Fox Ridge subdivision. Neutral colors, beautiful flooring, oversized wondows with wonderful natural throughout. Amazing well crafted kitchen (Plus second kitchen downstairs) will make entertaining a breeze! Square footage figures are provided as a courtesy estimate only. Buyer is advised to obtain an independent measurement." 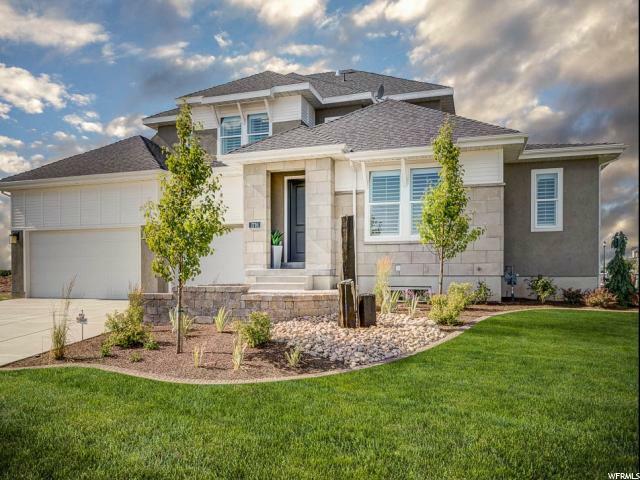 "There is so much to love about this beautiful home with custom touches built by Brighton Homes! Step inside to find a beautiful multi-functional flex room which can be used as a formal living room, private office or music room. A few steps further and you are welcomed into the inviting great room with its 20' ceilings, oversized windows that fill the room with natural light and a beautiful fireplace. The gorgeous chefs kitchen with painted cabinetry, quartz countertops, large island with breakfast bar, double ovens, pendant lighting and spacious dining area is the perfect place to host a dinner party. If you want to catch a breath of fresh air, step out back on the covered deck where you find plenty of room for barbecuing and relaxing. Notice the trex decking for easy maintenance. The main floor master suite featuring tray ceilings, walk-in closet and extended master bath suite with dual vanities, separate shower and soaking tub. Upstairs you will find a large bonus room and four additional spacious bedrooms. Back on the main floor you will find a functional mudroom and the entrance to your three car garage. The lower level offers plenty of room to grow or the perfect place for a mother-in-law apartment with its 9' ceilings, plumbing completed for a kitchen as well as a separate entrance. Outdoors you'll find the home is perfectly situated on a large corner lot with RV parking. Located in a quiet, well maintained community close to schools, parks and entertainment, this home has everything you are looking for and more! " "PRICE IS NEGOTIABLE!! If you like it send us an offer. Beautiful home with brand new basement. It has a total of 7 bedrooms, a home theater room, and a possible gym or office. It also has a second kitchen in the basement and a huge cold room for storage. It's a must see!!!! This home has an intercom system in all 3 levels of the house, hardwood floors, 2 tone paint, both kitchens have granite counter-tops, a central vacuum system, 3 car garage, and much more!!!" 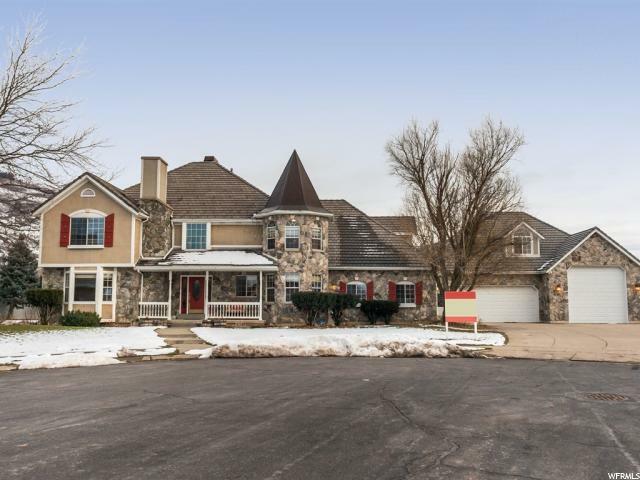 "Stunning 2-Story 7 bed/3.5 bath home on quiet cul-de-sac inside Layton's highly desired Coldwater Creek neighborhood! This professionally designed and landscaped home has great street appeal boasting a stone/stucco front with 3 car garage. Enter an unbelievable entry with high ceilings, large living and dining rooms, fireplace and a staircase that is sure to impress. Soaring vaulted ceilings, high-end chandeliers and lighting throughout this home. Gorgeous gourmet kitchen with granite counter tops, recessed lighting, large Island with sink, pantry, top of the line cabinets, stainless steel appliances and tile flooring. Combined with the kitchen is a large breakfast and family room with fireplace creating the ultimate family gathering spot. The Upper level offers a master suite w/ attached master bathroom features: tall ceilings, tile, separate shower and jetted tub, plus a large walk-in closet with a laundry chute. Add three large bedrooms and full bath completing this level. Huge basement family room/game room with 9' tall ceilings, surround sound system wiring perfect for a theater room or entertaining friends. Other highlights to mention are a private study, laundry, high efficiency furnace & A/Cs, three gas fire places, exercise room, plus a plantation shutters! North facing fully fenced .46 acre sprinkled backyard with large patio and storage shed. Sub division features a nice community park, club house and pool. Convenient freeway access. " "Beautiful backyard, swimming pool, and waterfall. Secluded, irreplaceable lot and setting. Great family home. Owner-agent. Includes Tax ID # 10-002-0038"
"Parade model home loaded with amenities! Edison Lakefront home plan in a great location near nature trails! Features a finished double deep 3 car garage with belt drive garage opener, spacious box bay windows in the master bedroom and nook, loft upstairs, distributed audio system, central vacuum, covered deck, maple cabinets with trim upgrades, soft close and rollout drawers and hardware, adult height vanities, stainless steel gas appliances with wood hood, hanstone kitchen counters, gorgeous tile backsplash, 2 tone paint, textured walls, hardwood flooring and SO MUCH MORE!" "Premier model home with furnishings available for purchase. Gorgeous mountain views, nestled in one of our unique, quiet Active Adult Communities, only a stones-throw from the Valley View Golf Course on Layton's coveted East Bench. A short, pleasant walk will unveil breathtaking, panoramic views of the entire valley. This home features upgrades galore with special features you have to see for yourself. Don't miss this move-in ready home." "A beautiful home in highly desirable neighborhood. Close to schools and parks. Light and bright with neutral colors and high ceilings. Fully finished basement includes build in cabinets, storage and 2 bedrooms and baths. The master suite is spacious with separate tub and shower. There is finished area over the garage for a bonus room and bedroom. 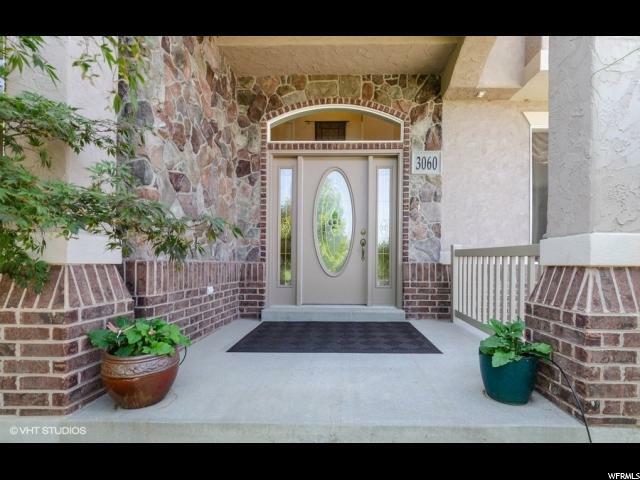 A spacious 3 car garage, basket ball standard, fully fenced yard make room for lots of play. The kitchen has some updating. The basement has a walk out entrance. Some flexibility on possession after recording Square footage figures are provided as a courtesy estimate only and were obtained from Davis County Assessor Tax Records . Buyer is advised to obtain an independent measurement." 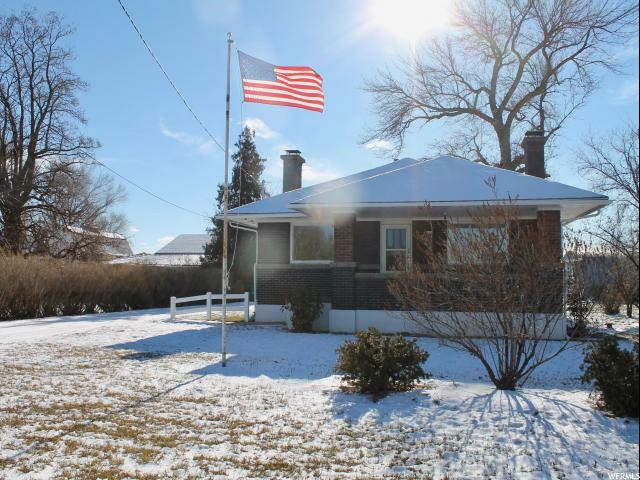 "OPEN HOUSE SAT 12:00 to 3:00 - East bench location in a lovely established neighborhood. Entrance the home through a tall foyer, separate formal living room, and a separate office/den to a grand great room with high ceiling and lots of windows for natural light. Kitchen features a large island bar, quartz counters, pantry. A convenient mud room leads to the big garage. The outside patio is covered to enjoy summer evenings. RV parking. There is a laundry room on each floor. Newly finished basement boasts a separate entrance, Full Bath, laundry, 2 bedrooms, family room, ruffed in kitchen, with pantry and a dining area." "Gorgeous home with 360 views in a quiet cul-de-sac. From the stunning 2-story entry filled with natural light, you'll see every corner has upgrades-open floor plan, extra high ceilings, 2 heating/cooling systems with NEST thermostat, massive 3 car garage, RV pad, 2 jetted tubs plus a hot tub, large bedrooms with walk-in closets, 2 Jack & Jill bathrooms, a Master Suite balcony overlooking the entry, just to name a few, and No HOA. UTOPIA FIBER is coming! Come see all this home has to offer. Square footage figures are provided as a courtesy estimate only. Buyer is advised to obtain an independent measurement." "Incredible 2 Story Beaumont plan in new West Layton community. Huge master suite on the main level. Amazing kitchen with walk in pantry, huge island, and custom cabinetry. All upstairs bedrooms have walk in closets. Many options to consider: finished basement, bonus room, over sized garage, and second master suite are among a few of the great options for this home. Photos are of similar home, not all options shown are included in price. Price includes builder incentives. Other floor plans and lots available. As of 4/8/2019. " "* OPEN HOUSE* Saturday April 27th 10am-12pm! WOW! You're going to love this home! Wonderful spacious floor plan is great for family and entertaining. You'll be pampered with the huge master bedroom and walk in closet on the main floor. 4 more bedrooms upstairs with even more room to grow in the basement. Too many extras to list all, but you'll love the two 50-gallon water heaters, 4 car garage, basement entry, reverse osmosis water filtration, 36 range, and fully fenced yard."